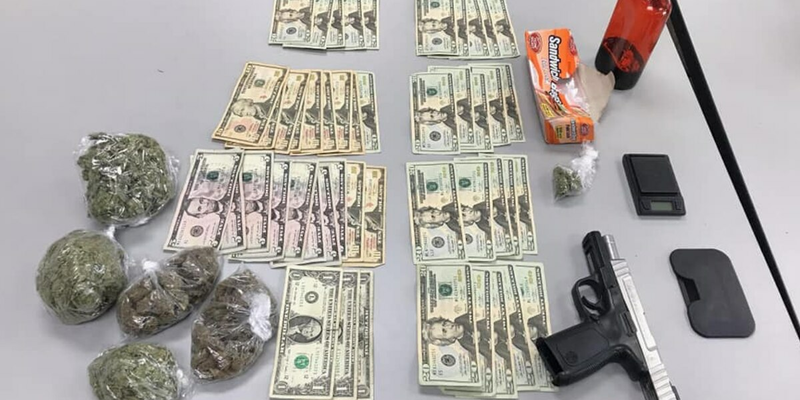 FAIRMONT, NC (WMBF) – An 18-year-old was taken into custody after officers said they found marijuana and a stolen gun. Fairmont police officers executed a search warrant Monday morning on a home on McDaniel Street. Officers said they seized 200 grams of marijuana, digital scales, cash and stolen firearm that was reported stolen out of Cumberland County. Officers arrested 18-year-old Marquez McDowell. McDowell is charged with possession with intent to sell and deliver marijuana, possession of a stolen firearm and second-degree trespassing.